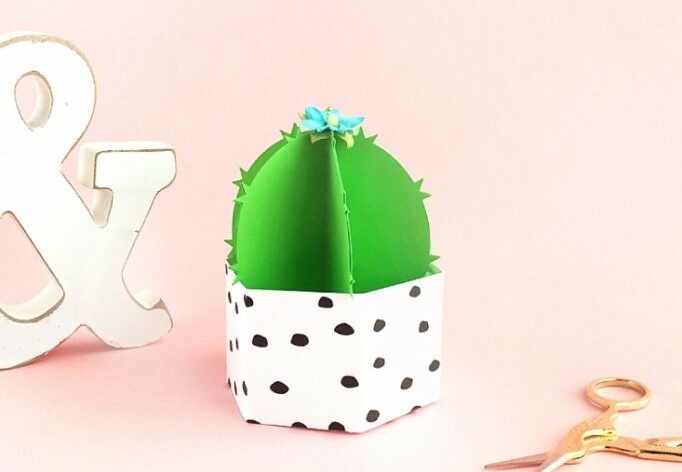 This little DIY potted paper cactus is low maintenance and cute. 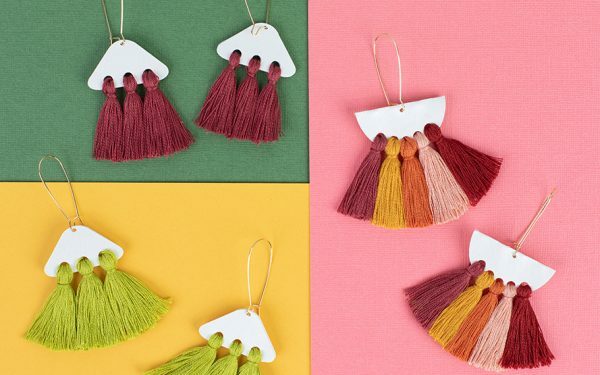 It can be part of a sweet gift to a fellow not-so-green thumb or they can be used to decorate place settings—they are small enough to fit on a plate! Are you in? Read on for the how-to! Download and open your cactus in a pot design (Design ID #181963) in Silhouette Studio®. Select the design and ungroup it (to ungroup something, select the object and either click the Ungroup icon or right-click and select Ungroup). If you don’t use the Print & Cut option and use your own patterned paper and colored cardstock, set the shapes’ colors to blank. 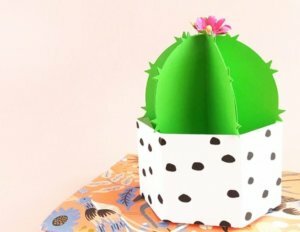 Place your cactus leaves in the print/cut area. Load your patterned cardstock into your machine. 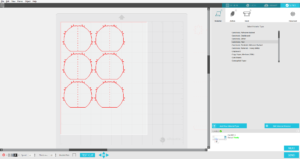 In Silhouette Studio®, select the Send tab in the upper right-hand corner. Select the type of cardstock you are using as your material (could differ depending on which cardstock you are using) in your cut settings. Adjust your blade to the depth setting specified (unless you use a Silhouette machine with an Autoblade, which adjusts automatically), and select Send. After your machine is done cutting, unload the Cardstock from your machine and weed away unnecessary parts of the design. In Silhouette Studio®, replace your cactus leaves with the pot shape. Load your cardstock into your machine. Cut out the pot shape using the cardstock material settings. Finally load your pink cardstock in your machine and repeat the above steps for the flower. Fold the tabs along perforated lines. Apply glue to the tabs and assemble. And that’s it! Will you keep yours for your desk or give it as a gift? Tell us in the comments below!